Do you want to learn how to code, build apps, games and websites? 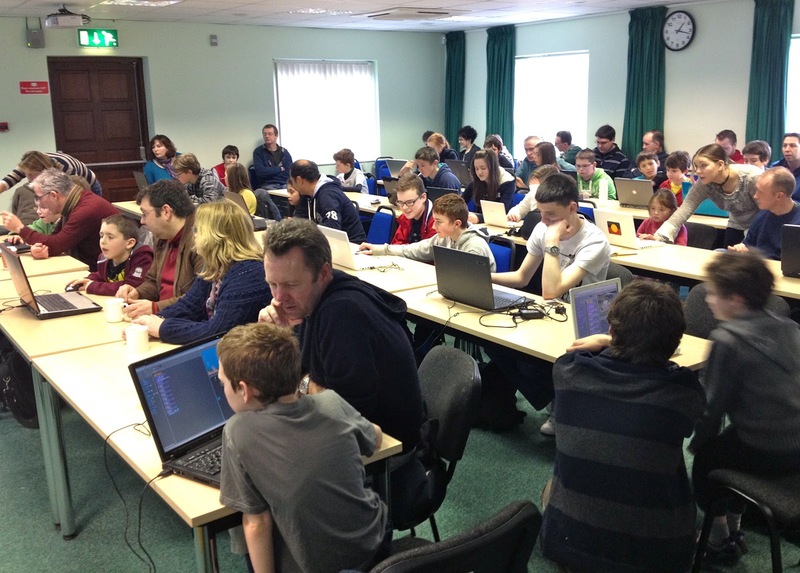 Then, go along to CoderDojo Mayo on Saturday March 24th in the Mayo Education Centre. Registration is from 12pm but get there early as there are a limited number of places. All primary school students must be accompanied by an adult. Please read the club rules before attending. You will need a laptop. Find out more and keep up to date by following @coderdojomayo on Twitter. Just a short post to remind you to keep working on your ECDL during Work Experience. When you return from Work Experience, you only have 4 weeks until Easter. The minimum target for next term is to complete your Module 4 (Spreadsheets) and Module 5 (Database) exams. If you get these done, then you will be on track to complete all 7 exams by the end of May. If you would like a break from eLearning, then have a look at this site for help in doing all the ECDL modules or you can find some very good tutorial videos on Youtube. For example, here’s a series of videos on Access 2010. Mr. Heffernan will be taking you through all the material you need. I will also be calling into the class next term to see how you are getting on. Some of you will have all 7 exams completed shortly. Let me know when you have them done and I will then set you up for Advanced ECDL. Enjoy the break and email me if you have any questions on ECDL during the year or call into my office any time. Latest ECDL league tables for 4A1 and 4A4. These tables are based on Module 2 and Module 3. The dates for your remaining ECDL exams have been added to your Calendar in your Google Apps account. Log into your Calendar to see the dates for your ECDL exams.